Fine Art at Nepean Arts and Design Centre: A Visual Arts Degree at NADC? Register your Interest! 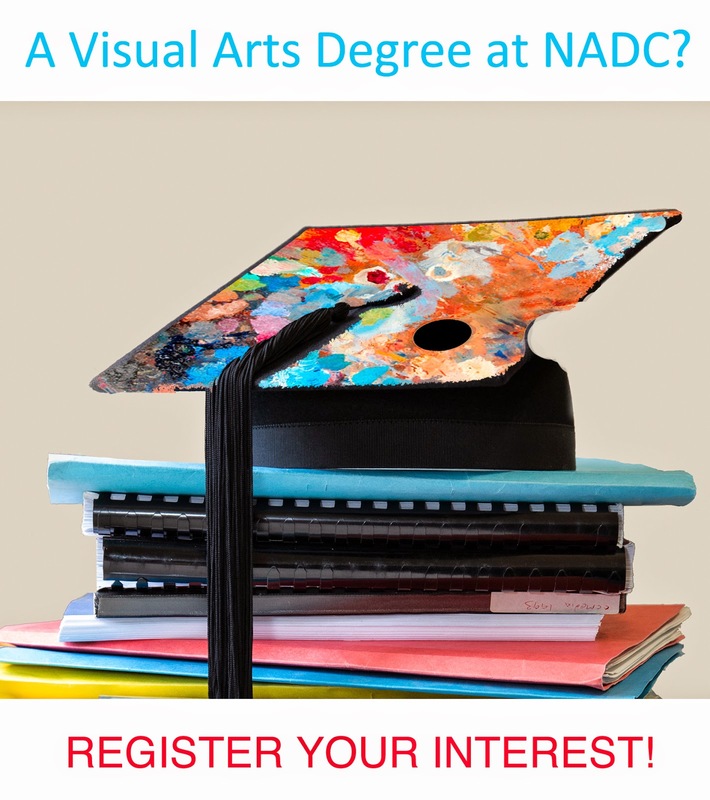 A Visual Arts Degree at NADC? Register your Interest! SUPER EXCITING NEWS: NADC is currently calling out for expressions of interest from people who wish to undertake a Bachelor of Visual Arts. We are looking into the possibility of running this qualification here at NADC. Registrations have only been open for a short time, and we have already generated a high level of interest! Prospective students could include current and former TAFE visual and fine art students, and members of the broader community who wish to gain a degree in the visual arts with an emphasis on studio practice. The degree would hold multiple entry points depending on your existing qualification/s (if any). In order to run a Bachelor of Visual Arts at NADC, first we need to gauge the level of interest. If a Visual Arts Degree in Western Sydney sounds good to you, please follow the link below, and fill out the very short registration of interest form. Please share! Thanks for the information about the arts degree registration! Nepean Arts & Design Centre at TAFE NSW - Western Sydney Institute, Kingswood is Western Sydney's premier training centre for the creative industries offering a range of courses in visual arts, design, and professional photography. Our street address: 12-44 O'Connell St Kingswood, NSW 2747 (enter via gate 2) - Trapezium Gallery located in block P. For professional photography or visual arts course enquiries phone the Head Teacher on ph 9208 9513 OR 9208 9325, or visit our website via the links below.